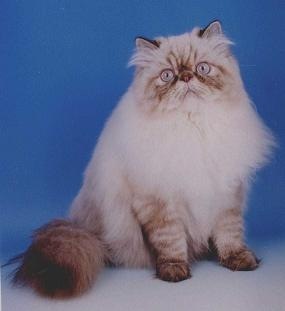 A color-point is also known as a Himalayan. 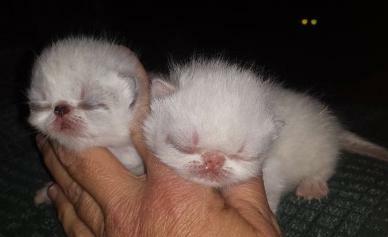 These are the Siamese patterned Persians and Exotics. and any of these colors in lynx (tabby). The color-point gene is recessive and it works independently of all the other color and pattern genes. This means you need 2 copies, one from each parent, to get a color-point patterned cat. to distinguish them from cats without color-point in their pedigrees. For Persians, the prefix numbers are 3000 series. For Exotics, the prefix numbers are 7300 through 7600 series. green or blue-green eye color silvers are known for. As an aside, using solids in a shaded silver program can cause problems with eye color. What ever a breeder does HAS to be for her/himself. You have to breed for your own goals. What is important for one person is not important for another person. trends are in breeding practices for their chosen breed, color/pattern, and registering association. DO NOT want ANY color-point numbered cats in their pedigrees. 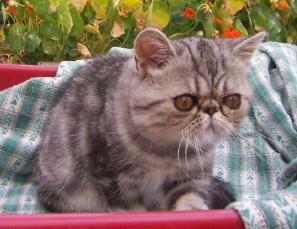 IF they want to be able to sell breeder or show quality kittens to other breeders. Most other breeders want to keep their lines "pure" (free from CP lineage). 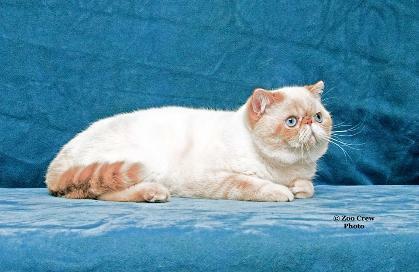 Breeders working with color-points want to know for sure that a CPC cat they buy does in fact carry the color-point gene. 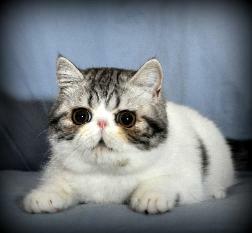 Usually, that CPC has to be an outstanding example of the Persian breed for a CP breeder to want it. Understand that the purist sentiment runs very strong! 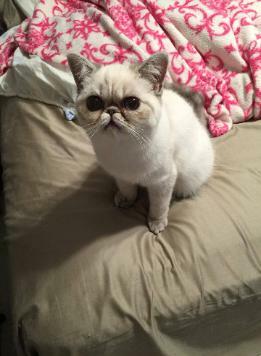 it can literally hide in a cat's DNA for many generations. 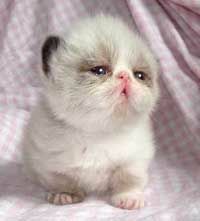 you will never produce a color-point kitten. there will be a chance that you can get color-point kittens. Advances in DNA research has been a saving grace for many breeders. DNA testing can tell us about the color and pattern genes our cats carry! to see if they actually do carry a color-point gene! It won't matter to the purists and it won't change your cat's prefix # in CFA. But at least you will know what your cat's genetics are for certain. Some people do not care if they get a random color-point kitten. But when working with the inhibitor gene, you might get some oddly colored kittens. It is what is important to you, there's no right or wrong answer. color-point carrier (CC) goes up. all offspring are color-points (cscs).